→Why Install EZRvents For Pest Control Exclusion? 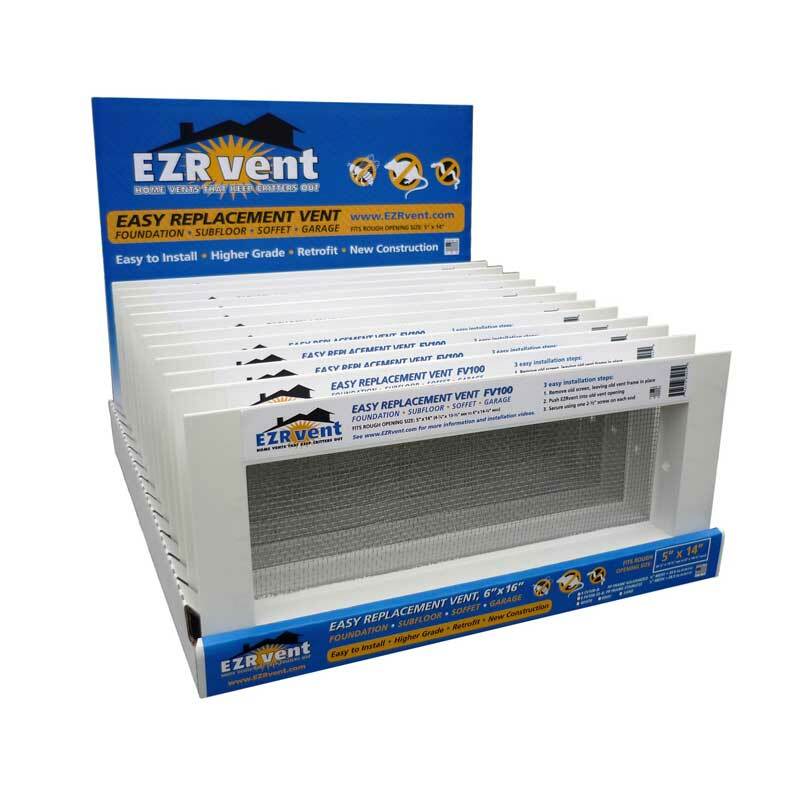 Installing EZRvents is an easy way to replace and upgrade rusted out foundation vents, garage vents, and attic eave vents that are in need of replacement for active or preventative pest control exclusion with the added benefit of adding an upgraded finished look to your job. Many Pest Control Contractors are finding our Replacement Vent Products an easy way to add another revenue stream to their pest control exclusion business. Pest Control Installers are making $200-$300+ for an hour or two easy installation time on typical homes. Simply keep an eye out for rusted out or damaged vents while on your normal rounds. Typical complete EZRvent retrofit installation takes a little over one minute per vent with no stucco or siding work required. As seen in our video, installation is quick and easy; requiring low effort, standard tools, and low skilled labor to produce a high value finished solution. Contact us to become a qualified Dealer / Installer or contact your local EZRvent Distributor to start excluding Rats, Mice, Bees, Snakes, Birds, Bats, Skunks, Possums, Raccoon, and other Critters from your clients homes today.